By Connie Diamond. Jan 18, 2017. 9:00 AM. Those of us who grew up in the shade of the Hundred Acre Wood, or who raised our children there, owe a debt of gratitude to A. A. Milne. That name, or more accurately those initials, are as famous as the charming stories he penned. The four classic books that comprise the original Winnie-The-Pooh set are, of course Winnie-the-Pooh (1926) along with The House at Pooh Corner (1928), When We Were Very Young (1924), and Now We are Six (1927). The same voice that animated the stuffed toys in his son’s nursery room and brought them into most every nursery for generations to come also wrote other works for different audiences and spanning different genres. Here are some of the lesser known, yet wonderful books by A. A. Milne. 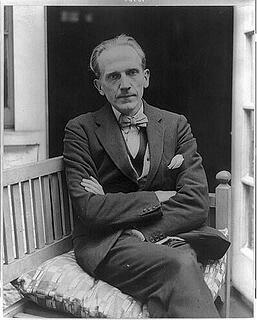 Milne began his literary career as a contributor to and then assistant editor at Punch—the humorous and satirical British magazine. The Sunny Side (1921) is a collection of short stories and poems that found their initial audience through Punch. This collection, hand-picked by the author, is a forgotten classic with all the characteristic wit and wisdom one might expect from A. 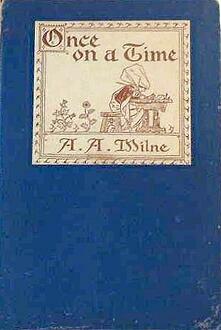 A. Milne. Last published in 1962, this is a quirky and fairly obscure book. It is perfect for those who love Milne’s British voice and humor, appreciate a good fairytale, and would treasure a little conversation piece tucked on the shelf between Winnie-the-Pooh and House at Pooh Corner. Reading a plot summary of The Red House Mystery (1922) reminds one a bit of an intense game of Clue. There is an old country house, a party, a murdered guest, and a multitude of suspects. Two amateur sleuths, amid tea and billiards, take it upon themselves to investigate. This is a very English who-done-it. Once On A Time image source.